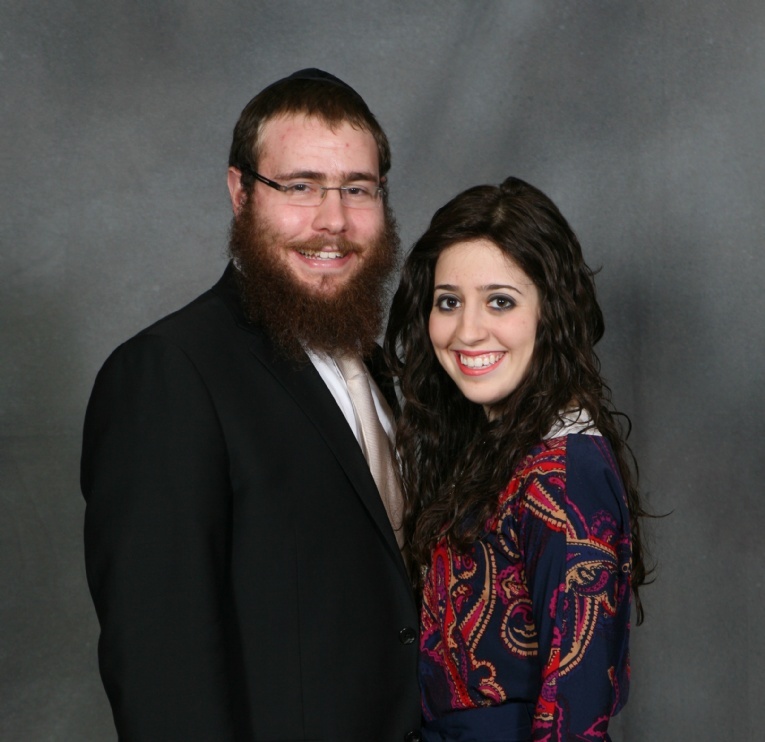 Rabbi Shlomy and Chaya Levertov are the directors of the Chabad Jewish Center of Paradise Valley. The branch joins the 19 other centers in the state, the first having been established in 1977. They have moved here with their 6 month old son, Mendel, from Brooklyn, NY . Rabbi Shlomy grew up in Phoenix helping his parents, Rabbi Zalman and Tzippy Levertov, who direct Chabad of Arizona. Rabbi Shlomy studied in Yeshiva Ohr Elchonon Chabad in Los Angeles, CA and then went to Brooklyn, NY where he graduated and received his Rabbinical Ordination from Lubavitch World Headquaters. After he got married, Shlomy and his wife lived in Brooklyn where he continued his postgraduate studies at the Kollel Institute before moving back to Arizona. Chaya was born in Miami Beach, FL. After High School, she went to Israel where she spent the year furthering her education. Chaya then went back to Florida where she co-directed The Friendship Circle Miami, a program for special needs children. While living in Brooklyn with her husband, she taught in Shulamith School for Girls of Brooklyn. The Levertov's plan to augment and further develop the Jewish community in Paradise Valley by hosting programs and events for men, women, and children.